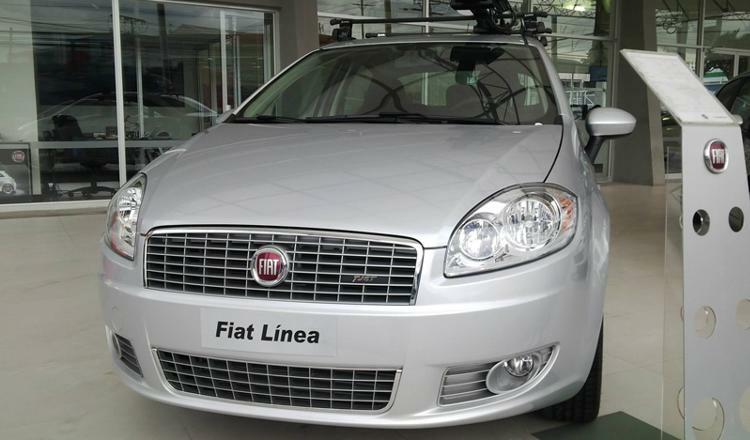 Fiat dealer in Costa Rica expects a 68% increase in new car sales for this year, a record year according to Carlos Muñoz, general manager at Distali. If 2013 was a good year for new car sales, 2014 promises to be better, although challenging. At least that is the way major importers and distributors of new cars are seeing things. The major players of new car imports are the group of seven: Viensa (Mitsubishi, Citroen, Ssan Yong, Geely and JMC), Grupo Automotriz (Ford and Volkswagen), Distali (Fiat and Alfa Romeo), Grupo Danissa (Nissan and Audi), Grupo Purdy Motor (Toyota, Lexus and Dahiatsu), Grupo Q (Hyundai) and Grupo Rudelman (Suzuki y JAC). Stephanie Charpentier, marketing manager at Viensa, told El Financiero that her company expects to grow more than 15% – more than 2.400 units – over last year. At Grupo Automotriz, the challenge for 2014 is a 28% increase in sales, while Distali expects to sell 650 units more than this year over last, a 68% increase. Danissa says its goal is a 20% growth over 2013 sales of 3.860 vehicles and Purdy Motors expect to increase or at worst maintain the same number of sales of last year, 7.336 units. Besides the seven, the Asociación de Importadores de Vehículos y Maquinaria (Aivema) that groups 25 new car dealers, sees an overall growth of 15% for this year. As part of the growth is an expansion of dealerships, with new locations in the San José greater area. New car dealers like Distali (Fiat) plans to open a second showroom this year and Purdy says it will push hard the Lexus brand, with an exclusive showroom for the Toyota high end vehicles. The Lexus showroom is to be more than 1.500 square metres located in the upper scale shopping district of Avenida Escazú. Purdy says it will aso be remodelling its 11 other showrooms around the country. According to the Minsiterio de Hacienda (Finance Ministry), a total of 56.111 new vehicles were imported in 2013, a drop of 18% over 2012 imports; used car imports dropped 36%. Aviema director, Liliana Aguilar, blames a collapse of infrastructure – the bad road and bridges – and the failed Expomovil 2013 as major factors in the drop in imports. In addition, the exchange rate, rising interest rates and financing policies as challenges facing new car dealers, as they slowly try to recover record levels set in 2008. While new car sales are expected to grow, the biggest challenge for the year is for used car dealers.